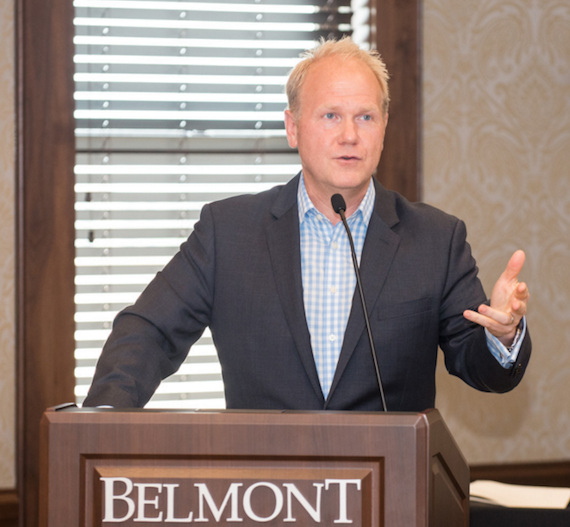 Publishing executive Troy Tomlinson was presented the 2016 Robert E. Mulloy Award of Excellence from Belmont University’s Mike Curb College of Entertainment & Music Business on Tuesday (April 26). Tomlinson is the President/CEO of Sony/ATV Music Publishing Nashville. 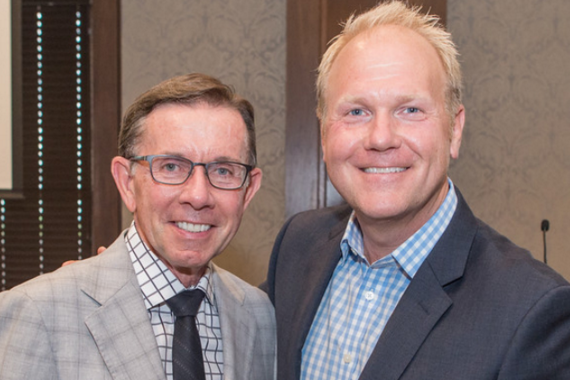 He serves as the Chairman of the Tennessee Entertainment Commission and is on the boards of the Country Music Association, Nashville Songwriters Hall of Fame Foundation, Country Music Hall of Fame and Museum, Music City Music Council and Belmont University’s Board of Trustees. 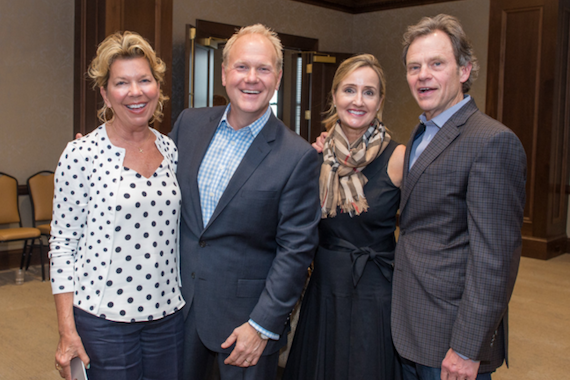 The event was held at Belmont University’s Wedgewood Academic Center and was attended by Tomlinson’s industry peers, songwriters, Belmont faculty, friends and family. Curb College Dean, Doug Howard, presided over the event. 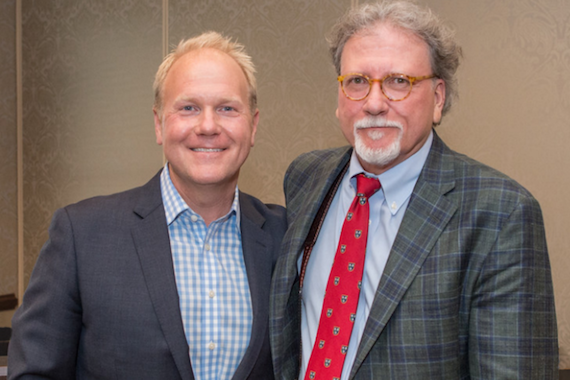 Longtime music executive Jerry Bradley and Nashville Songwriters Hall of Fame songwriter Tom Douglas shared stories related to Tomlinson’s career and their experiences with him. Also included were video tributes by a number of Tomlinson’s songwriters including Luke Bryan, Kenny Chesney, Brett Eldredge,Taylor Swift and Cole Swindell. Tomlinson accepted the award by paying tribute to his many mentors from the past 30 years.